When we first became parents, Tim and I really didn't know what we were doing. The day we took our firstborn home from the hospital, we had no idea how to put him in the car seat to actually take him home. Tim oh-so-gently guided Peyton's tiny little body under the buckles which I held up so they wouldn't touch his new baby skin. It took a good 25 minutes. Neither one of us thought about unbuckling the buckles to put Peyton in the car seat. We simply thought "wow, people weren't kidding when they say babies are a lot of work and now we understand why it takes so long to go anywhere." A few days later, as we attempted to leave the house and take Peyton to his first doctor's appointment, a friend watched as we once again tried to gently ease our new baby into his car seat without unbuckling buckles. That friend, an experienced parent herself, tried not to laugh as she reached over to unbuckle the buckles and suggest that might make things a little easier. 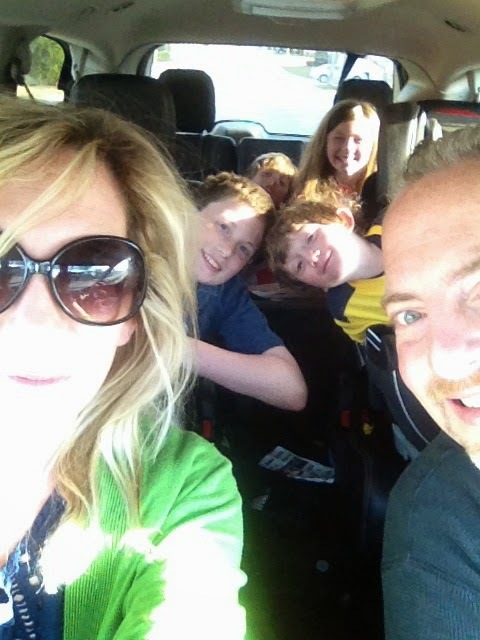 Well, 13 years and three more kids later we have unbuckled and buckled car seats a million times. We know so much more than we ever thought we'd know about kids and car seats. We know weight limits, height requirements, what buckles work and what buckles Houdini-like children can wiggle out from under. We understand and respect that getting to the booster stage is a rite of passage that kids really look forward to, much like the coveted front-seat, shot-gun seat that our firstborn is now old enough and tall enough to call his own most of the time. Our baby, Wade, has reached the booster stage. He's not a baby anymore, he's four and more than ready for a booster. But not just any flimsy, old booster that has been passed down and beaten up by his older brothers and sister. 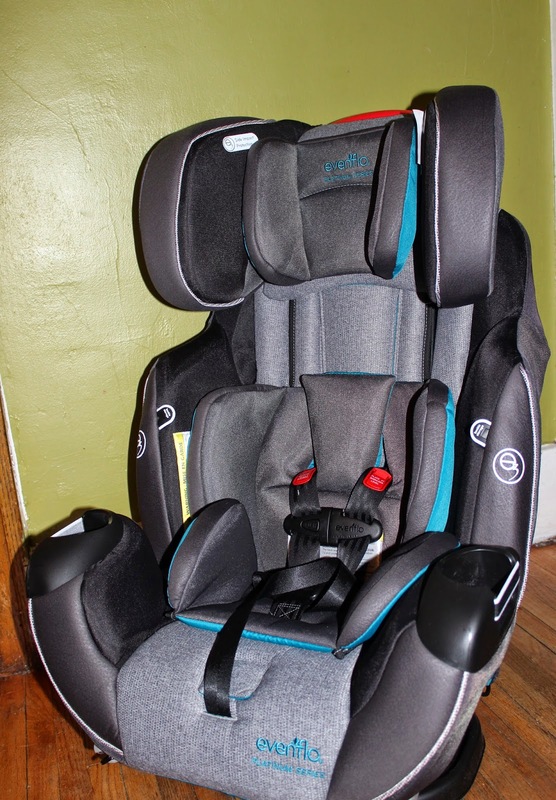 No, Wade got a pretty sweet seat--the Evenflo Symphony™ DLX car seat. "I can see the whole wo-wld!," Wade exclaimed when he sat in his new luxury liner of booster seats feeling like a king. Wade loves the height the seat gives him and the cup holders. Those are really great, but this seat is about more than fancy bells and whistles. It is safe. Evenflo has taken safety and comfort to the next level with the introduction of the Platinum Protection Series of car seats, which feature NASA-developed Outlast® technology, a temperature regulating fabric that keeps babies and toddlers comfortable during hot and cold weather. Yeah, NASA. I love the Buckle Pockets, they protect from hot buckle burns and eliminate digging under your kid's legs for lost buckles. I only wish I would have had this car seat years ago. This All-In-One seat accommodates kids ranging from 5-110 lbs, making it the only car seat you would need forever. 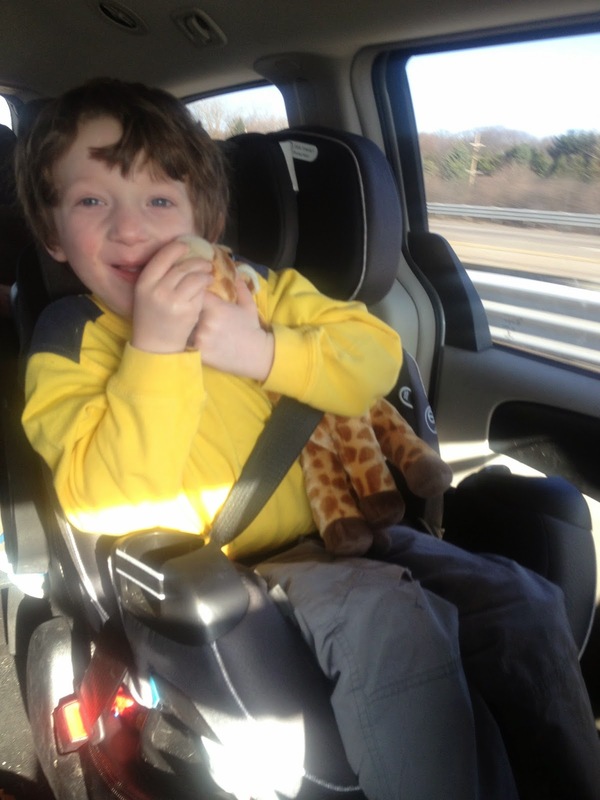 It is hands-down the easiest car seat we ever adjusted to a booster seat, ever. Now that I finally found the perfect way to keep them safe and securely buckled in tightly, I can't even believe I'm only a few years away from my firstborn actually driving. I can't even go there yet, so I won't. I am just going to focus on being so happy that Wade is happy and safe and excited to see the whole "wo-wld" outside his window. Click here for more information about the Evenflo Symphony™ DLX car seat. Car safety sure has come a long way - when we were kids we just did whatever in the car, right? Well, that looks like a sweet ride!! Aww, our little ones are getting so old aren't they? And I love that you tried to get a baby in a carseat without undoing the buckles. it ain't pretty Jennifer. Trust me. It's kinda gross…. I'm happy for your dude that he got his own sweet new seat. We have a lot of hand-me-downs around here and I think I'd have a couple fighting for that new evenflo. haha.